After all, when the money gets to Panama, someone wants it there for a price. The price they’ll pay for that means they are interested in borrowing it or using it while it is ‘parked there’ - for some other, further purpose. That purpose could be economic activity involving drugs, illegal trade in arms, even legal trade in arms, trade in humans, body parts, medicines, drugs, any commodity for which is sought a market underneath the ‘white market’s radar system and into the (non-taxed, or lower-taxed black market, any objective that makes someone else a lot of money at less expense and means more profits in more secret private pockets related to more secret goals and, well, nasty, unfair or unethical activities. Then there is a habit, apparent in Norway’s State company ownership interests, of not asking hard questions in the right forum. From where I come from (Illinois), at least we had The Open Meetings Act, even if politicians and cronies were busy hustling around avoiding it when they wanted to break, in particular, the labor laws. And we had the Corporations Act, which told owners of companies how to behave when they made decisions. Norway should take a lesson in this. What do Yara, Statoil, Telenor, Hydro, Kongsberg,, DNB Bank, and Kvaerner have in common? They all have the State as a shareholder (indirectly on Kvaerner’s part), and all have, during recent times, been accused of being involved in crimes or unethical conduct. How can this happen with a government shareholder who claims to have clear expectations of social responsibility? The bottom line is profitability. Work with social responsibility should help to "protect shareholder value. The state has no legal obligation to always do what maximizes profit. The State could ,through selected, strategic decisions at the AGM meetings, show that, for example, zero tolerance for corruption means “saying ‘No, thanks” to some projects. The State’s capacity and opportunity for influence, both nationally and internationally, is formidable. These consulting networks, such as PWC is a part of, are among those additional agents who have given us the Panama Papers scandal. These consultant communities are sitting on all sides of the table, alongside, preparing the ground for the owners’ reports, facilitating services of the companies, and then evaluating whether the companies and the state government’s ownership activities work well enough. -June Edvenson is a former Illinois State Senior Auditor. She worked as an auditor for the State of Illinois for 7 years in Springfield and Chicago. She is an American attorney now living and working in Norway. This summer, I've had the pleasure to spend the very rainy season doing tax forms for Americans overseas. Ahh, the beauty of formulas and the certainty of numbers when low pressure and constant rain become so challenging to love. And now a conflagration of related news of note has appeared on my personal horizon, albeit mostly digital given the foggy views these days. One of my core points during that April presentation was that global financial concerns must be managed by creating greater transparency - at the individual level. After all, how will Greece solve its problems if they “only take cash” from the Norwegian tourists (the topic of my next blog post), instead of “having to show their income for tax purposes” (...they seem not to know what that is). On the American side, most Americans overseas are busy working and reporting their income to their country of residence - for taxation in that country. They're rather less concerned with updating their filing status with the Internal Revenue Service while living abroad, and much much less interested in telling the U.S. Department of the Treasury how much they have in foreign banks (for no good reason I can think of, since it is not being taxed in the U.S. ;). And you, Stateside reader, probably think it would be nice to be an ‘American in Paris.’ From what I hear, you would be checking your French tax rate, then your U.S. taxes due, and then you would be cursing that you still owed tax to the U.S. after paying the lower French rates. And then you would report to the IRS, as required, and you would stop complaining, after all, since you would be living the joi de vivre life of brasseries-in-the-sunshine, with beauty and joyful ambience around every corner. First, this notice from the IRS indicates that new procedures are going to be in place – to help Americans who have not been reporting to do so now. The new procedures go into effect on September 1, 2012. The article refers to the first new procedure as being that, for citizens who owe little or no back taxes, there will be no “penalties or additional enforcement actions” -if they catch up their tax form filings and financial bank report form filings now and would then owe less than $1500 in back taxes. Well, that is not so new, as most folks are in this category and don’t now pay penalties or experience enforcement actions when they catch up their tax form and bank form filings. Now, do you finally “get the picture?” as we say in Chicago. The title of the audio story is, "Tax Evaders, Beware." As an aside, I really don't know why people don't want to file these forms, except that it's a bit of a hassle. Procrastination produces such unremitting guilt at some point, and even though death and taxes are both certainties in life, why should you let not-filing-your-tax forms ruin your happiness on a continual basis? Stress after all is linked to inflammation, which, left unchecked, can precipitate premature death. Asides aside! Time to get yourself updated on the tax reporting and bank and securities financial reporting requirements which all American citizens (no matter where they live in the world, and no matter whether they are dual citizens or not) must abide by. It’s not as scary as it sounds: it’s a matter of just doing it – or having someone do the forms for you, after you collect your information together. If you are in a country with a tax treaty with the U.S., the general routine results in the following scenario: you report your foreign income to the IRS, and if needed, also your foreign taxes paid. The IRS sees this return, reviews it, and says to themselves, “Oh, okay.” They then do not call you or write to you, do not bill you, and they never e-mail you. What could be better? Things could be a lot worse than catching up with these filings – such as not catching up with them before foreign banks begin providing your account information to the IRS anyway, under new rules coming soon. In other words, if you are like most U.S. citizens abroad, nothing is worse than not doing these forms. Therefore, if you are ‘like’ most U.S. citizens abroad, just do them. I am thrilled to announce that my blog is not dead! In the past weeks, it experienced a remarkably low profile, indicating that since I, the author, was no longer a ‘member’ of the site, the entries could not be displayed. To this, I must say that the new-fangled world of ‘IT’ certainly has a sense of humor. In truth, I am not only a member of this site. I wrote it. And I write it. I enjoy it also, and tend it, as a good gardener. Of course, now the days in Norway are getting chilly, and the darkness is already approaching us; both dawn and dusk encroach on our vision. Uff da meg. The gardener is busy putting tended issues to bed for a while. A bit of pruning, a bit of complaining. Meanwhile, the American Embassy has, this calendar year of 2011, managed to awake the sleeping Americans living here to their duty to file their personal income tax forms with the U.S. Internal Revenue Service, setting off screeches of fear and quaking of the knees. I’ve been the recipient of a fair amount of resulting tax work, and have widened my familiarity with various fact and income patterns . . . the hard way, in some cases: by having to re-file some of my clients’ tax forms. But let’s speak about taxation. It has been awhile. Here are my latest gripes, the first of which is probably of greater interest to tax preparers than to tax clients. The IRS requests that we complete the Foreign Earned Income worksheet to determine one’s taxable income. When this is not used (inadvertently, in part because it is a relatively new tax calculation requirement and in part because it is not placed intrinsically into the tax form itself), instead using the standard U.S. Tax Table, the tax appears to be under-stated. Using the Tax Table, it is only under-stated to the extent of the foreign earned income exclusion (Form 2555 and 2555-EZ), which is a convenient formulation for writing down one’s foreign earned income - income that has already been taxed in a foreign country – in our case, Norway. So when one uses the Tax Table, the tax is lower. However, any resulting foreign tax credit calculation (Form 1116) would show the IRS that the level of actual tax paid to Norway on the income was sufficient to cover even the larger amount of tax that would have resulted by use of the Foreign Earned Income worksheet for calculating tax. And let’s just say that the Form 1116 was included in that package of materials that did not use the Foreign Earned Income Tax worksheet, but did use the Tax Table to calculate the tax . . . If you are still with me here, please note: Instead of the IRS, then (a) informing the tax client by mail that they should complete the Foreign Earned Income tax worksheet and re-file their forms (i.e. since they can see that the taxes paid to Norway are sufficient to cover the difference), the IRS instead does (b) informs the tax client by mail that they did not utilize the Foreign Earned Income worksheet to calculate their tax and should therefore immediately pay $8,765 dollars to the IRS, or will be subject to extreme penalties and possible legal action. The ‘immediately pay’ part is tricky: since the payment to the IRS is due within 30 days of the IRS’s letter date, and the letters never arrive before exactly 30 days have elapsed, the payment is due on the date the letter is opened by the unsuspecting American overseas in, for example, Norway, who, to be honest, does not owe a penny to the IRS. This brings me to the title of this entry: The IRS does not realize that this type of letter reply is not only questionable from the standpoint of “good faith business practice,” but could cause its recipient to have a heart attack or stroke, thus unintentionally causing their death. As for me, I will stick with the argument that this type of letter reply is, quite truthfully, exhibiting a lack of GOOD FAITH and FAIRNESS in BUSINESS PRACTICES. Sadly, I don’t even want to speculate as to how many Americans overseas, around the world, who are paying taxes in their country of residence, have received this particular letter and responded by immediately wiring off the required payments to the IRS when, if they would re-file their forms using the FEI Worksheet to calculate their taxes, they would very likely not owe the IRS a penny, and, even if they had shown the IRS what their foreign taxes paid figures were, the IRS sent them that bill. Shameful! Is anyone reading this? If so, glad to hear from you, albeit briefly. This brings me to point number 2. The United States would like all Americans to file their foreign bank account numbers and totals with them, for their information. I have written about this before. The general area of concern is called: FBAR. FBAR stands for Foreign Bank and Financial Accounts Report. First, it seems a reasonable enough requirement that all Americans living in the U.S. should have to do this. The point is: they should not be able to skip paying taxes to the U.S. simply by managing, in one way or another, to park their change in foreign countries’ banks. My first gripe with this law is, therefore, conceptually simple: Americans who live and work overseas, hired by foreign companies and/or working solely in foreign lands, paying their rightful personal income taxes to those foreign lands, are already doing what they should have to do, given the tax treaties between the U.S. and most nations. Thus, double taxation is avoided. Therefore, why should they not fall under an exception to the rule that requires that they report their bank accounts and account numbers as well as highest yearly balances in those accounts to the U.S. Department of the Treasury? This is not a rhetorical question. This is a real question. FBAR II: A flurry of e-mails appeared in my inbox after the Democrats Abroad of Stavanger sent a relatively scary e-mail around to those on its e-mail list, identifying a series of dates for filing the FBAR form, links for where to find the latest version, and indications of what might happen to persons who did not file this information with the U.S. government. Therefore, it is time to update my previous entry on this topic. Not because I understand any more fully why the U.S. government insists on requiring this information from Americans who live and work overseas while paying taxes overseas as required. Why? Because, there is a new revision of the form which is to be filed. In other words, I remain clueless when I was recently quizzed on both the conceptual justification for requiring this of us – or at least those of us with at least the equivalent of $10,000 in a foreign bank account – or stocks or securities, and what would happen to someone who wanted to do the right thing, but had happened to not hear of it until after the latest drop-dead deadline of September 9, 2011. My answer was: (1) I don’t know, and (2) I don’t know. I will try to find out. In the meantime, the new FBAR filing form can be found here, and is called the TD F 90-22.1, revised March, 2011 (and don’t use previous versions!). According to the information I am aware of, one should file these forms if one qualifies as required to file them. The IRS advises those who have filed their income tax forms, but who have not filed their FBARs, that they should file the delinquent FBAR reports (back to 2003) and send them to the Department of Treasury, Post Office Box 32621, Detroit, MI 48232-0621, also attaching a statement explaining why the reports are filed late. Non-intentional non-filing is also subject to penalty. What, you say? Listen, I’m going to work on this and try to obtain more clear information as to the consequences for those who have not yet filed the FBARS but are supposed to have done so. Meanwhile, my question as to why overseas Americans should be required to file this information remains, to my mind, a very good question, one in need of a better answer than is found to date in any online resource, including the Department of Treasury. My tentative thoughts are that this could be an appropriate agenda item for the House of Representatives Committee on Ways and Means. As recently as this past June, 2011, this House Committee heard testimony from Robert Stricof, Tax Partner at Deloitte Tax LLP, concerning the collection of foreign banking information with respect to foreign-based companies with U.S. interests, in an inquiry into whether foreign companies were engaging in “earnings stripping” to pad their deductible expenses paid to foreign parties. He indicated that the related reporting forms had been unclear since they were released 4 years ago, and nothing had been done to either clarify the related forms or to determine if they actually even managed to achieve their purpose. With the FBAR, let’s go further, much further. I am forced back to my first question, above: What is the financial interest of the U.S. government in individual Americans’ bank account balances in foreign countries when they do not spend significant time in the U.S., have no special employment-related ties to the U.S., and live and work, for all intents and purposes, legally within countries with which the U.S. has agreed tax treaties assuring no double taxation? Should they not be subject to an exception to the requirement for filing of the FBAR forms? You are welcome to forward this message. Alternatively, since our language is devolving as we speak, you can also, sadly, ‘like it’ or ‘not like it.’ As for me, I've got work to do: it's already getting dark outside. App-filing your U.S. tax forms? Time to unveil the unveiled, that is 'apps' for doing your taxes. This short video cleverly reveals some of the available options: http://www.time.com/time/video/player/0,32068,876692034001_2062830,00.html . Now, if only I could have done this in the past! The 'take' is cute, including snapshots of hoped-for business deductions, ending up with, er, the dog. I'm not sure that apps are up-to-speed for Americans filing from overseas, with their use of the Form 2555 and occasionally Form 1116, but taking photos of your W-2s and entering them into a simple application program is surely going to be good for many at-home on-salary individuals. Make it that simple for individuals to file, and it's got to be good for Uncle Sam, too. And what do we want right now? What is good for Uncle Sam! I take my blog headline from Greek mythology in which a creature described as half bird and half woman lured sailers to their doom with her sweet singing. Also variously described as sea nymphs, the sirens live in rock outcroppings along the beaches, causing the destruction of ships sailing in too close. Odysseus was smart enough to have himself tied to the mast of his ship to avoid their sweet enticements, while his men plugged their ears with wax, all in their efforts to avoid being drawn in by these tantalizing babe magnets. We all know, too, that the sirens still exist. Walking every non-radiactive beach in the temperate world, of course. And so, as northern Spring thaws re-awaken our sense of eternal youth and adventure, we head out again, around the globe, to find that perfect spot. As for Alice, Pippi and Peer, the update is simple: they're all doing fine back at home, have not yet recouped their investments, but surround themselves with work, family and friends, and continue their eternal travels. Tax Time for Americans Overseas . . . Who & When? Americans abroad, I ask, “Who must file income tax forms to the U.S.? Who?" All we Americans abroad who live abroad are supposed to know that we are required to file personal income forms with the Internal Revenue Service each and every year. And yet, what if a person makes little income? What is the level of income necessary to trigger the filing requirement? (1) Because, technically, not ALL Americans have to file with the IRS each year . . . specifically, those who have sufficiently low levels of total worldwide income to report in the first place. And (2) what types of income are included in the income level at which an American must file with the IRS? This question was posed to me recently by L. For purposes of illustration, L is an American gal, married to a Norwegian and does not work. She therefore has no earned income. She also has no interest or dividends, stocks, annuities, etc. that might be taxable as income, so she has no personal income. L’s husband happily pays all the bills. Lucky L! The answers to this are found at IRS Publication 54. For those of you with chronic tax-avoidance syndrome, this is found online at the IRS’s quite user-friendly website, www.irs.gov. You are welcome to visit it, and you will find out all types of things you wanted to know . . . as well as some you surely would rather not! The Search box is not natural-language-savvy, but it’s also not completely hopeless. Here’s the link to the current Publication 54: http://www.irs.gov/pub/irs-pdf/p54.pdf. We didn’t think we’d get sentimental about this, but the IRS stopped sending this around to folks just this year, and frankly, it means I can’t add it to my book shelf. For my part, I’ll share the American overseas core filing lower limits here in reader-friendly English. Chicago-style English, that is: For adults (non-dependents), are you single and did you make less than $9,350 dollars - or if you’re 65 or older, less than $10,750 dollars in 2010? Don’t count foreign pensions, either. Well, then you don’t have to file for 2010. If you’re married filing separately, though, which most of my clients are, did you make less than $3,650 dollars in 2010? Yeah, I thought not – and then you better be filing, buddy. Ah, and, say, you were self-employed? Sorry, chump. You have to file even if you made only $400 dollars the entire year. If you have not been filing and should have been filing, you should file RIGHT NOW: the current tax year’s forms that are due (in this case, for 2010), and the 3 prior years’ forms (in this case, 2007, 2008 and 2009). 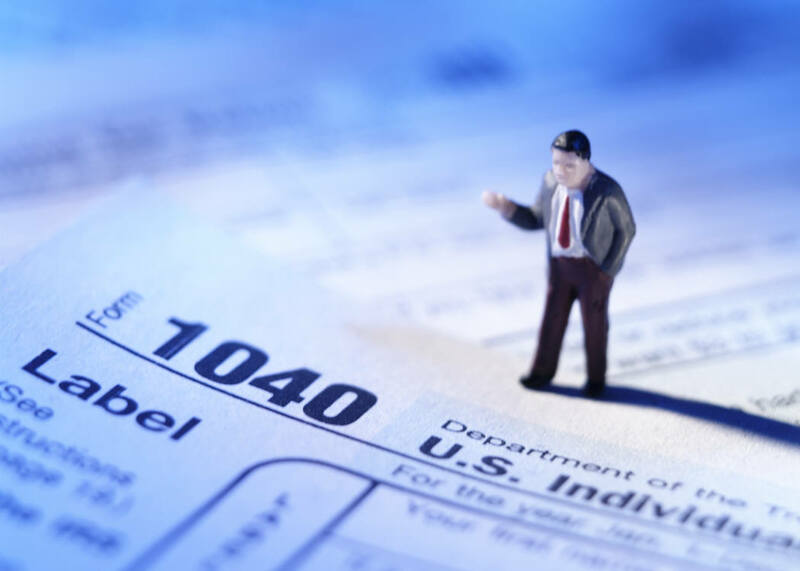 If you have been filing on an ongoing basis, and you will owe tax, you should file by April 15th - since any taxes owed are due on that date (no matter where you live). However, if you don’t file by that date, you should file as soon afterward as you can, and, frankly, the interest on a small tax bill due is so low, most can live with that difference if they don’t have their current year figures in overseas income figured out until sometime after April 15th. That wasn’t too hard, was it? Now, if you’re still scared to death, you can use my services, and I do the filing work for you. Up to you. Velkommen or Best Wishes! 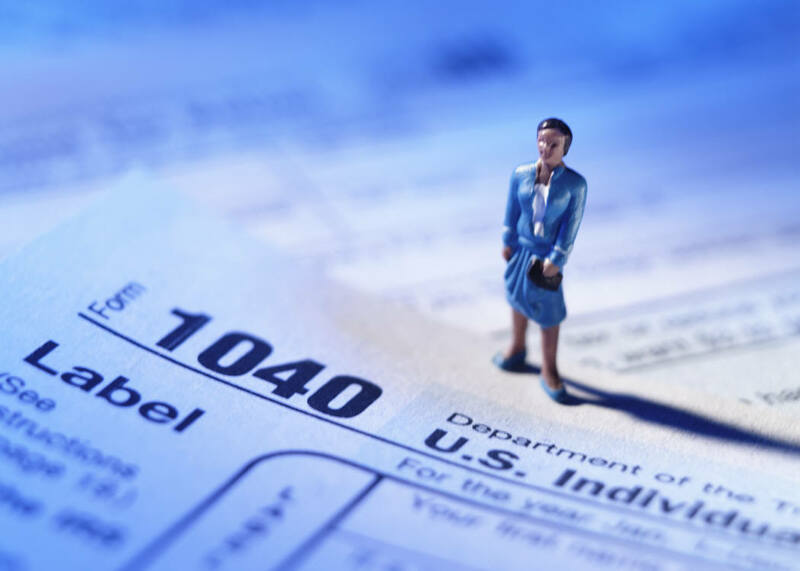 Here's a quick entry to share information with other U.S. tax preparers - persons who are doing business as professional preparers of tax forms - who prepare Internal Revenue Service forms for others. Alright, you know who you are. Mandatory e-filing of IRS forms isn't just coming. It's here! Starting this year, 2011, tax preparers who expect to prepare 100 or more returns for clients must e-file. Beginning in 2012, tax preparers who expect to prepare as few as 10 returns for clients must e-file. The IRS link to the announcement is shown here: http://www.irs.gov/taxpros/providers/article/0,,id=223832,00.html . Got it? or Get it! Topic: The ESTA program - which is used by non-visa non-Americans required to register when they are planning to travel to the U.S. I thought I should publish a short note to let those interested know that, although the ESTA online registration process may have its challenges in the user-friendliness category, it scores well for (1) knowing what date you registered last, and (2) notifying you by e-mail 30 days before your registration is about to expire with useful information. The notification would remain a problem for anyone who has not continued to use the same e-mail address with which they registered with ESTA earlier. We do have a tendency to move, change employers, etcetera. Thus, if you are registering online with ESTA for the first time, I suggest that you use an e-mail address that you can plan (in advance) to continue to use, regardless of changes in employer, internet service provider, etcetera. Examples of such: yahoo.com, gmail.com (Google), or hotmail.com. Other tips are appreciated - feel free to e-mail me with your ESTA story, problem or solution. A Good List . . . of "15 Good Things to Celebrate in a Bad Year"
Ah, yes: the year of 2010. How can we say it: so much to do, so much stupidity, and so much ennui. I have written in the past my own compilations of this sort, but Ms. Medea Benjamin, co-founder of CODEPINK and the Global Exchange, has done a fair job, in my opinion, in her article, posted at Michael Moore's website under "Open Mike." Norwegian? Work in Norway! Falsify your credentials today! There are times when it is hard to believe the pathetic employment reality for non-native-Norwegian professionals in Norway. One can be Norwegian-American; it simply does no good: not only will Norwegians not hire well-qualified professionals who immigrate to Norway - that is, into positions consistent with their existing education, experience and general qualifications; if a Norwegian 'can' do the job,' a Norwegian will do the job! However, apparently, it is perfectly alright to hire Norwegians who are not qualified for jobs – and while doing so, avoid confronting those Norwegians who do take high offices with, er, questions about their own education, experience and specific qualifications for those jobs. Please accept this blog as an expression of my sincere interest in working as administrasjonssjef of SAFH. I am presently available for full-time employment, and am a candidate well-suited to this position. I have an extensive background in health planning and worked as an administrative law judge in the U.S. I have higher education in law, as well as several years of auditing and management experience. I have been in Norway for over 11 years, took Norwegian classes, and have a good knowledge of Norwegian. I have been working on contract due to underemployment in fields of my past experience, but have many years of appropriate government service for such a position." You get my point. Remarkably, Liv Løberg held the position noted above, while consistently mis-representing herself to those who have employed her. 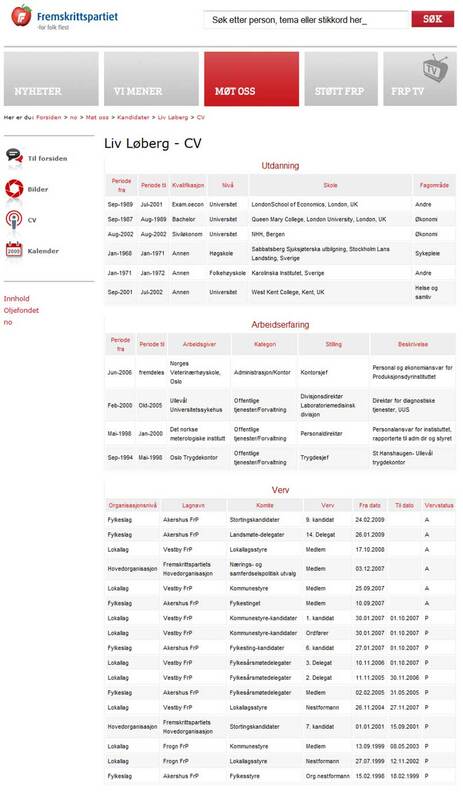 (http://www.vg.no/nyheter/innenriks/artikkel.php?artid=10002237) And the Google versions of her pre-problem CV/resume are now pulled offline. Among the degrees Løberg claimed to have acquired legitimately: a certified nurse, a 3-4 year medical bachelor's degree program; a sivil økonom, a 4-year university business-economics degree from the Norwegian School of Economics and Business Administration (NHH); a master's degree from the London School of Economics; and a Bachelor's degree in Economics from the Queen Mary College in London. (http://pub.tv2.no/multimedia/TV2/archive/00814/falskCV_814089a.jpg) Did she have any of these? No. • Bedrageri: ie. fraud, swindling. She has, according to yesterday's Aftenposten, retracted her participation and membership in the FrP political party, Norway's most conservative party. Please, Aftenposten: how hard it is to tell the truth? She was forced out, and everyone knows it. Fact is, Kari Kjønaas Kjos, leader of the Akershus county Frp party, was kind enough to let them put it that way. "Dear Kari, I'd love to get involved in Akershus Frp, too." But is the case going to be prosecuted? It's not yet clear. Norway has its own rules for democracy, which have something to do with the commonly practiced and well-respected, "See no evil, hear no evil, speak no evil." Some are suggesting that Ms. Løberg go to jail. I think this would be highly unfair. After all, once she is in jail, she will have a nice room, a roof over her head, three square meals a day, and possibly even qualify to stay at an open-door, island prison. Perhaps even a 'prison' in a southern Spain paradise. As to her future, I challenge the government to come up with an especially appropriate response, one that has all of the new judicial concern for 'giving back' to the community that is found to be so appropriate in modern cases of abuse of public trust. Granted, she will probably claim she can no longer be employed, due to her crushed emotional state. After all, she is now 60, and has been taking everyone for everything she got for all these years. She will, as most Norwegians do, get disability income. She may also be eligible for unemployment income, which as a contractor, I cannot get and never have been able to get, despite my 11 years of under-employment in Norway. No, there is one thing that Liv Løberg can do that she is qualified to do. She is an authorized CNA (the American title for it). She is authorized and educated as a Certified Nurse Assistant. This is the person, below a nurse, who changes bed-pans, and is permitted to shift the patient's sheets, etcetera. Their role in our society is critical, and, as a good Norwegian knows, no job is a small job nor an unimportant job. In fact, I believe that Liv Løberg should be ordered to work as a Certified Nurse Assistant until her retirement, at which time she can go to jail. She can join the many hundreds of Somali refugees that Norway has been kind enough to import and educate for such life-time jobs. During those years, she can be placed into wage garnishment - for re-payment for her years of fraudulently working at jobs she was not only not qualifed for but no good at. Once she gets to retirement age, she should be eligible only for those pension points she made while being employed at a legitimate level, not those she accrued while lying about her work qualifications all her life. At this time, all pension credits she gained while being employed at jobs for which she falsely represented herself should be stricken from her record. In all fairness, I would be happy to take those pension points, since I cannot earn any when I am not employed full-time in Norway. I would consider this quite a fair exchange with the State. This would assure that Liv Løberg qualifies for a minimal Norwegian pension. Just what she so richly deserves. Not too long ago, I was watching BBC World television in Norway. It was a few days after the terrible accident that continues to spill oil into the Gulf of Mexico. Sounding like this was some very difficult issue to understand, the BBC World reporter asked a British Petroleum executive the question on everyone's minds: "What effect will this have on the size of dividends BP shareholders rely on?" He assured her it was not a problem. I was more stunned by the question than the answer. These Brits had obviously never seen the Gulf of Mexico. They had never considered the complex and fragile role this huge bay plays in the global glory of sea life on Earth. A few days later, I found myself, luckily, admiring some of the Gulf's stunning Florida beaches, pristine, filled with turtle nestings, feeding birds of many species, fish and sea life of every variety. I then heard that President Obama was interested in all ideas related to what to do. Immediately I thought of the lesson my favorite supervisor of all time, Kevin Carhill, taught me, as we audited government operations, management and programs: "Follow the money." This was always excellent advice. I knew what my suggestion to the President would be: Freeze BP's assets now. And have they been? No. Well, we can assume that, with every passing oil-spilling day, BP is scrambling ever more frantically over their . . . um, money. Let's take a look at what I can find, just up to today, which, frankly, isn't much; I simply don't have the resources; much more investigative effort should be placed on BP financial activity just right now. That said, 40% of BP is share-owned by UK owners, 33% of that by UK institutions and 7% by UK individuals. Surprisingly, and sadly, 39% of BP is share-owned by US sources, 25% by US institutions and 14% by US individuals. In 2008, BP had replacement cost profit before interest and tax of 26.4 billion USD, down from 2007's 35.2 billion USD. The usual tax rate runs about 28-33%, resulting in a conservative estimated after-tax profit of 17.7 billion USD. For 2009, BP claims after-tax profits of 14 billion USD. But speaking of dividends, BP is feeling chipper, as they say in the UK. BP is getting ready to pay one of the highest quarterly dividends to shareholders in recent memory. On June 21st, BP will be paying their ordinary shareholders 10.6187 pence on the share. This amounts to 15.44 cents on the share. BP last paid this much in the first quarter of 2009 and last quarter of 2008, although generally, quarterly share dividend payments in CY 2008 averaged 8.9 pence per share, and in CY 2007, 6.26 pence per share. Cutting to the chase, BP has, in the first quarter of 2010, 18,784,361,000 shares in issue. This means they are getting ready to pay a quarterly dividend of (18,784,361,000 x 15.44 cents)... 29 million dollars. Yes, BP is getting ready to pay 29 million dollars in dividends to their ordinary shareholders on June 21st, while the oil spill continues to ruin a global estuary of unimaginable and nearly incomprehensible importance. Dividend payments should also be stopped. Granted, this hurts institutional investors - and individual investors. The institutional investors are probably supporting pension funds. In any case, ordinary people (maybe even 'rich people') are going to be hurt if BP's assets are frozen. Still, as Abraham Lincoln, said, "The dogmas of the quiet past are inadequate to the stormy present. The occasion is piled high with difficulty, and we must rise with the occasion. As our case is new, so we must think anew and act anew.” I realize I'm lifting Old Abe out of context, but don't you agree? Have I said enough? Is anyone listening? That's my part. I do what I can do. In the same PBS report, President Obama was reported as stating, "BP is responsible for this leak. BP will be paying the bill." Facebook has several Freeze BP assets groups, none of which sports a high membership yet. Jason Turflinger, of the American Chamber of Commerce in Norway, was kind enough to call me this summer at the one-room cabin on the fjord, noting the American tax deadline of September something, 2009, and the question and alarm of some callers to their office. Being the thoroughly modern Millie I am, I turned to the coffee-table-desk-station and Googled the tidbits. This turns out to be a reference to the U.S. deadline for Americans with money in foreign banks - or financial interests in the money that is in foreign banks - to report some general information about that money to the United States government. Since we're in the acronym age, let's call it like it is: It is FBAR. I will think of that as the letter F, followed by the word, BAR. You can decide what the F stands for if it does not stand for Federal, by the way, as this is what most Americans, hard-working overseas, probably think of this requirement. I, meanwhile, have been simply bowled over with responsibilities since this inquiry, which has caused the delay of some superb blog entries (still forthcoming), and the complete re-painting of the main-home kitchen, among other things such as swimming, working, teaching courses and helping students. But now is the time to ring the bells. Time to report on the FBAR! Americans, Awake! Time to report! Not just American citizens but all those subject to filing with the IRS, including, for example the categories identified as non-resident aliens with U.S. income and those holding green cards while temporarily living and working overseas who wish to keep those cards active. The United States, besides being one of the only countries in the world to tax its citizens when they live abroad and make money from foreign sources only (geez), is also interested now in catching up with those who have stashed money in foreign banks - and, by the way, securities. They want to know the names of the banks, the account numbers, and the amounts in those accounts. Conceptually, we recognize the new reality as a great Grisham novel: Here's the American company CEO with a foreign bank account, into which he somehow stashes some money that he does not claim for U.S. taxes. We get it. The rub, however, is that, conceptually, it is also this person: the American overseas who simply lives overseas and has a bank account of their own - and/or 'interests' in another person's bank account. This would include, for example, in a Norway example, an American woman married to a Norwegian man who has the right to inherit from him, and then how much does he have in his banks, whereever they are in the world? Well, how much? The U.S. government would like to know. The authorities are kind enough to excuse those of us who do not report if the amount is under $10,000. Be any better off than that, and you're just the sucker that the Federal Treasury department wants to hear from - BEFORE September 23rd. This is called a "Voluntary Disclosure" deadline, after which one may or may not be eligible for an exception from penalties imposed by someone. How does this affect you? Maybe not much, depending on how cash-poor you are, that is. There is the general $10,000 dollar minimum. Surely this is one of the only moments at which I find myself glad to be married to a man who is relatively cash-poor, as am I. In Norwegian kroner right now (September 11, 2009), that $10,000 dollar amount over which reporting is required is a mere 59,189.51 NOK! Darn it! The kroner is so strong.
" The purpose for the voluntary disclosure practice is to provide a way for taxpayers who did not report taxable income in the past to voluntarily come forward and resolve their tax matters. Thus, If you reported and paid tax on all taxable income but did not file FBARs, do not use the voluntary disclosure process." -IRS website. This means that those of you who have been filing IRS tax forms - and paying taxes when you are supposed to - should not use the voluntary disclosure process, for some reason? whatever that is? Attn: Charlie Judge, Offshore Unit, DP S-611" - IRS website. We take this to mean that you better send in an FBAR to DOT in Detroit as soon as you can. This simplifies things, don't you think? And don't ask me how the Treasury or IRS plan to follow-up on this routine. Let's just say, it will be interesting to see who the BIG fish are who get caught having been living the good life in the U.S. of A. while stashing their cash in other countries. I will welcome all the stories, just like the good collectivists and egalitarians that most Norwegians are. But as for poor Mrs. American-in-Norway, if you fall into this category, little lady, you better list up your and your hubby's accounts and totals. The U.S. government will be watching for it. And if you have been smart enough to keep your personal income low, but the financial interests lie in corporate or security accounts, or savings, well, you don't get a 'free pass.' In Monopoly terms, the government wants you to know that you could get the 'go to jail' card for not reporting, okay? So take the Nike road: "Just Do It." Subject: The continuing failure of our American banks. Recently: The word "nationalize" has now been uttered. Take: Poetic justice is served here. I enjoyed reading Joe Nocera's article, "Chorus grows: Nationalize the banks," in the Feb. 14th International Herald Tribune, http://www.iht.com/articles/2009/02/13/business/wbjoe14.php. This issue included a further article, visiting not only Nocera's 'Kitchen Cabinet' of economic experts, but even more great experts, "U.S. Treasury may need bolder approach on banks" in the Paris edition, also here: http://www.iht.com/articles/2009/02/13/business/13insolvent.php . What these articles suggest is that a plan modeled on aspects of nationalization, combined with the selling-off of bank portions in a fashion similar to that done during the savings and loan bail-out of the 1980's, could and would result in the sort of effective cost-saving action that should be contemplated and put into place now. And yet, according to Nocera, Timothy Geitner, the new U.S. Treasury secretary, is "avoiding the most straightforward, obvious path out of the crisis." (IHT, Feb. 14, 2009). I have a solution: Make it easy to understand, and make it quippy. As an American attorney with multiple degrees in law and literature, too much snow on the roof, and too little incentive to shovel it off, I have created something with the smack of modern vivacity, originality and, let's admit it, rhythm, which is just the thing to get us going, climbing out of the hole that over-confident consumerism, greed and sheer financial debauchery have gotten some people into. It would not be the first time that a quippy phrase – or two – saved the day, or the company. After all, Things go better with . . . banks. And banks . . . gotta lot to give. So, let's pour it on. Additionally, one has to admit that nationalizing banks is not as difficult as nationalizing oil, both of which would improve the average American's life tremendously, and both of which have been done, to one degree or another, in many advanced quality-of-life civilizations now admired around the world (er...including Norway). This particular poem, Part One, covers the bases: Get rid of the losers, crop the bad debts out of those questionable in-betweeners, and prop up banks with government ownership that can be re-sold to the private sector at a later date – like, year – when and if they promise to behave themselves and run a better show. My second poem has similar strengths, so one can select it, purely on the basis of enjoying the roundness of its tones, as opposed to the clipped personality of Part One. This poem, Part Two, also covers the bases: Tell these idiot banks what you are going to do, (ie: then do it), swell the revenue available for good loans under new rules, and then sell off the banks you've been majority-owning and managing, again, when and if they promise to behave themselves and run a better show. That show should include banking rules preventing shenanigans of this sort in the future. After all, a real tree is a much better real tree than the promise of a real tree. I can see those trees of banks bearing voluminous and beautiful fat fruit already. Ahh, it's nice to have things solved, isn't it? Timothy? It's just all those details that can become so complicated. But then that is what we look towards our financial and economic wizards, and our Treasury, Fed, and SEC, to do with their time and talents. One would think they would rather shovel snow off their roofs.